I like cake. I really do. My kids like it, but they usually eat the cake and leave the layers of frosting behind. 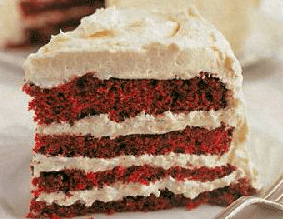 It’s all about the layers, though, whether you like cake or prefer frosting. Soil has layers, too, kind of like cake. If you dig a hole deep enough, you’ll see the layers, stacked in a profile. The layers, called horizons, tell the story of the soil’s character. Each horizon has a name, or rather, really just a letter. O = organic matter, like thatch, or leaf litter A = top soil, rich in organic matter E = not always present, this layer that has had things like clays and oxides wash out of it, into the layer below. B = the layer of accumulation, sometimes it is where those clays and oxides accumulate, sometimes it just looks like another version of the layers below, C = close to the bottom of the soil profile, the C horizon is hardly weathered, so it usually looks a lot like the parent material, if the soil has formed from parent material below. R = regolith, the underlying rock. 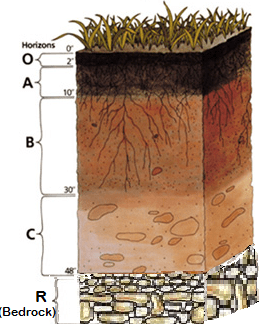 A typical soil profile, with O, A, B, C, and R horizons. Sometimes not all of these horizons are there. The A horizon may have been washed away, or scraped off by an overzealous developer, like the frosting my kids don’t like to eat. The soil may be so young that it hasn’t had time to develop a B horizon. Or, in an interesting twist, there may be a buried A horizon, and then a whole other soil profile laid on top of it. You come across this on a sloping field that has been plowed for decades, where soil from the hillside washes down to cover the original A horizon. Or you may see buried soil profiles where soil is washed in from repeated floods. How the soil looks depends a lot on how it developed. That is all a function of CLORPT, climate, organisms, relief or topography, parent material and time. Identifying your soil by its horizons lets you see it for what it is, an individual. The different characteristics are used to classify the soil under the soil taxonomy system . Then soil can be named and mapped. These maps are available online through USDA NRCS and if you haven’t checked it already, you can look up your farm and fields. 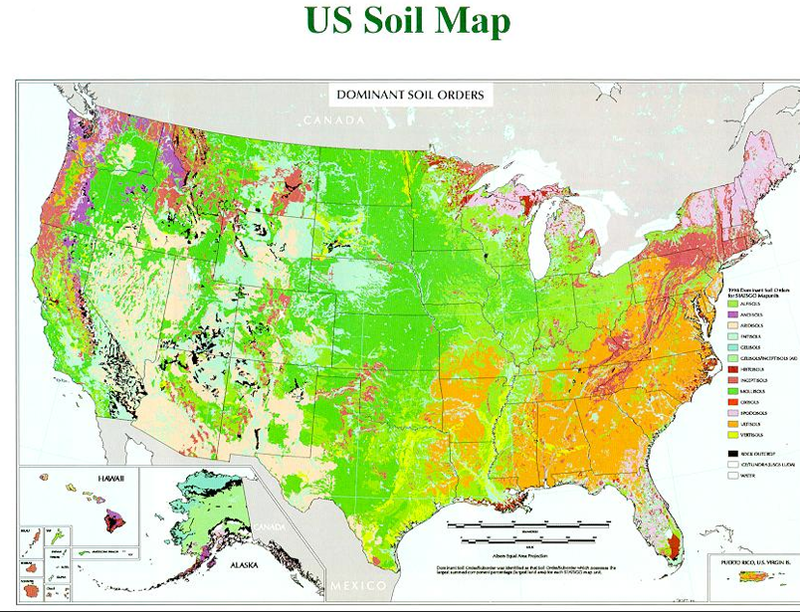 Maps of soil individuals also include projections for the soils- how productive they are expected to be for certain crops, their suitability for different uses from roads to buildings to field production, and their susceptibility to flooding. 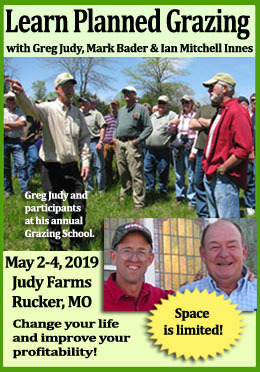 All this information can help you determine the expected potential of your farm. Just as you wouldn’t expect a store-bought fat-free sugar-free cake to be rich and fulfilling (blech! ), a shallow soil with a thin A horizon will not be productive in its first years either. You can make maps of your land, laying out the different types of soil individuals that make up your farm. 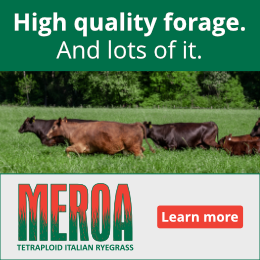 The maps are only going to go so far, especially since they are usually done on the larger scale, not taking into account variations within fields and pastures. You know your land best, and combining the projections of soil surveyors with what you know will help you anticipate and plan the best land use and management on your farm. When it comes down to it, there are layers to everything a farmer and rancher works with on a daily basis. 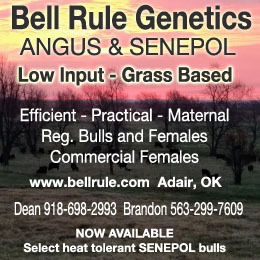 Soil, pasture, animals and their behaviors, market interactions and more all have layers. Thinking of the layers as cake certainly makes them tastier than Shrek’s ogres and onion layers.